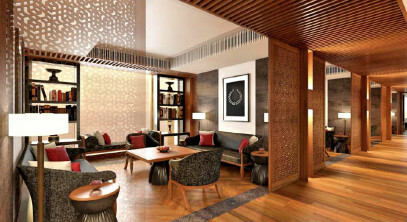 The Chedi Mumbai is located in the Powai, Mumbai region – an emerging epicenter of style, luxury and indulgence for both the established as well as the aspirational echelons of Mumbai society. With its unparalleled food and beverage offerings, The Chedi Mumbai will be the unsurpassed culinary Mecca in the entire city. This luxury hotel currently has the following job openings. The Finance Director is responsible to ensure that all financial aspects of the operations are controlled by maintaining focus over all receipts and disbursements and manage the smooth functioning of finance, materials and information systems. The Finance Manager is responsible for overseeing all finance and accounting activities, and ensuring the accuracy and timely submission of all information required for management decision-making by actively participating in the operations of the hotel’s Accounting Department. The Training Manager is responsible for enhancing the performance capability of hotel employees by developing and delivering the most suitable training programs, in collaboration with other department heads, to improve customer service. The Executive Housekeeper oversees all activities within the Housekeeping and Laundry departments, and is responsible for managing those departments by developing and implementing strategies and services that meet the needs of the management, employees and guests. Manages the operation of housekeeping, public spaces and laundry areas; ensures that the rooms and public space areas are spotless and continually restocked and straightened. Oversees inventory, purchasing, disbursement and cost control for all linens, cleaning supplies, customer room and restroom supplies, laundry supplies, etc. Creates 100% guest satisfaction by providing a ‘style to remember’ experience through a performance that demonstrates the standards of, genuine hospitality and exceeding guest expectations. Materials Manager is responsible for supporting hotel operations by purchasing, receiving, handling and storing materials as well as controlling inventory. The position entails procuring the right merchandise at the right time and at the best available price, and ensuring the proper storage of all goods in pre-designated areas.